Kasey Kahne! NASCAR's new road racing king? Who'd have thunk? Can Ford keep him another year? Now Bruton Smith is saying what? So, is the ball now in Joey Logano's court...or Kevin Harvick's? Who has more at stake? It looked soooo easy. Denny Hamlin marching to another stock car racing tour victory, number five in his last 10 starts. And until a late caution, for debris, he was cruising toward what would have been a 10-second victory over Kasey Kahne and Kurt Busch, the only two men even in the same zip code. Hamlin however insists it was much more difficult than it appeared. And crew chief Mike Ford agreed: "During the course of the week we made probably more changes than we have all year. "Friday we were what I considered horrible. We weren't a top-15 team. "So we made some big adjustments going into Saturday. "And made a lot of adjustments going into the race. "Really didn't think we had a shot to win. "But the adjustments were spot on." And when all was said and done, it was quite a whipping they laid on the field. "It's not as easy as it looked," Hamlin said. "Friday and Saturday were a struggle. "We got lucky qualifying seventh simply because we went out early (when the track was cooler and faster, after rain). We probably would have qualified 15th to 20th if we went out any later." What Hamlin and Ford might be able to do at Sonoma next weekend isn't clear. They're not known as a great road-racing team, though Hamlin says he runs well there. But Hamlin should be one of the men to beat at Loudon, N.H., because he's had a great flat-track program, as he showed at Martinsville (though Phoenix, after knee surgery was another story). And Hamlin, who just finished fourth to Kevin Harvick at Talladega, should be tough at Daytona too. "We don't have a huge focus on our road course program," Hamlin concedes. "I mean we go there and think we can win, and obviously fuel mileage really plays a big factor into those races. "I feel I've gotten better at superspeedway races (Daytona and Talladega), but I don't feel I'm the best at it. I could be a little bit better -- and a few more study tapes could make me better. "There's a lot of hard work that got us to be competitive at all these tracks. It's not just the team but me going home and studying tape every time we race." Jeff Gordon may be right in saying that the Rick Hendrick guys are no longer atop the stock car world. But Hamlin isn't buying any 'woe is me' from that side of the garage. "We know that Hendrick is right there in the mix. 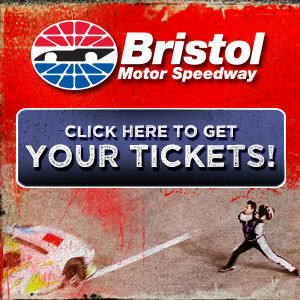 They haven't gone anywhere," Hamlin says. "They might try to convince you otherwise, but they haven't gone anywhere. "But for us, I like to think we're setting our own bar. And we hope to keep moving that bar every week." Hamlin's charge through April, May and June has been quite impressive, particularly considering his slow start to the season, and then his knee injury and surgery. "We had a rocky first few races or so -- five races or so before we finished in the 'teens," Hamlin said. "We weren't setting the world on fire. "But we had some issues as well. "Seems once we got to Martinsville and turned that corner, it's been really good for us. "But statistically this has been a pretty good run of tracks for us, the last 10, over the course of my career. "Where we need to improve is those chase tracks." That's Loudon, Dover, Kansas, California, Charlotte, Martinsville, Talladega, Texas, Phoenix, and Homestead-Miami. "If we win at Dover (Sept. 26th), then we know we're pretty damn strong," Hamlin says, pointing toward the second race of the 10-race chase. "We're making strides at all of our worst tracks. "That to me is a feeling I don't think we've ever had before." Denny Hamlin certainly wears it well. So what about that late debris caution? Hamlin rolled his eyes and fumbled for an appropriate response. Clearly he was a bit skeptical about the call, said he didn't see anything....yet he has won five races now and it's probably not good politics to question. "Well...I mean it's tough....because I was literally thinking inside the car...." Hamlin said. "Now if I don't win the race (after a caution like that, which blew his nine-second lead) because maybe I get a bad restart or something, then probably I'm angry because I feel like NASCAR changed the outcome of the race. "But it was still on me to do my job to win the race. "I understand this is show business. No, I didn't see any debris, if that's what you're asking. I mean we typically get them (late cautions) every single week. I'm not going to say it's accepted, but what can you do?" Submitted by on Sun 06/13/2010 - 20:37. No problem. Thanks for all the hard work. Love the articles. Submitted by on Sun 06/13/2010 - 23:23. I look at the debris caution as somewhat of a time out, time to regroup and go at it. most stick and ball sports call time outs near the end but dont forget theres only 2 teams so one or the other can call timeout. in nascar theres 43 teams at times some want a time out but if we gave it all the time we would run the race under caution lol. so it is what it is so what go with it. i love it!! !